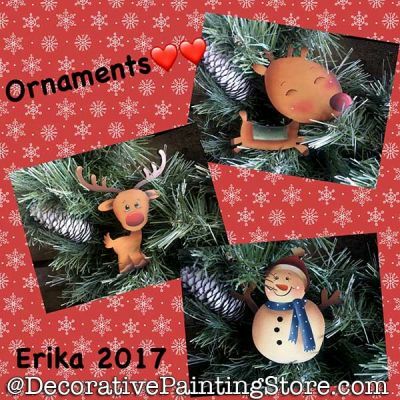 Snowman and reindeer ornaments. Shown on wood cutouts, or you could simply paint on your own choice of flat surface such as a plaque, box lid, etc.. Drawings are approx. 4-5" tall.